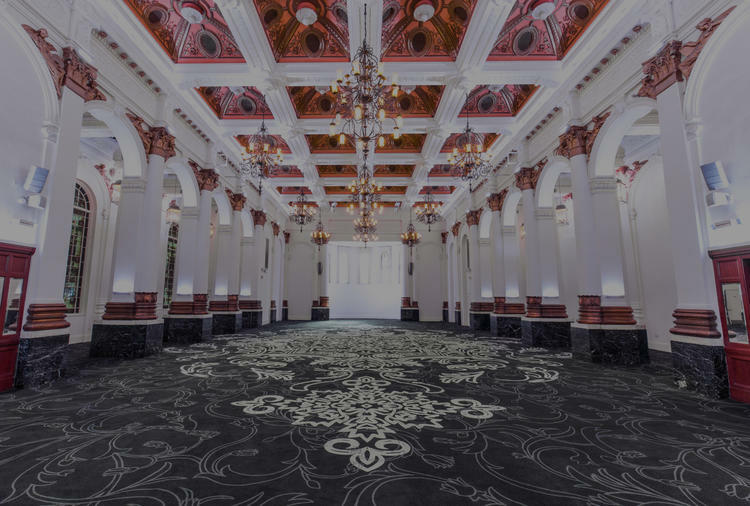 8 Northumberland Avenue is renowned for its mix of beautiful Victorian interior and inspiring use of event technologies. Few would know that London's most central venue, a mere 77 paces from Trafalgar Square, has a rich history dating back to 1887. 8 Northumberland Avenue was an ambitious idea. 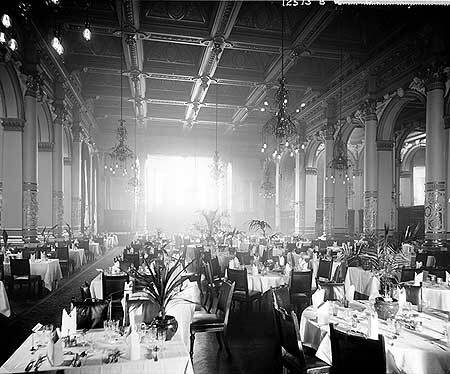 The Northumberland Avenue Hotel Company wanted to build a 500-room hotel that would exceed the expectations of discerning Victorian travellers. This was the era of the empire and the railways. London needed ‘grand hotels’, with prestigious restaurants, bars, coffee rooms, and catering to both hotel guests and day visitors. Even at a time when standards were high, the new building surpassed expectations. It was bursting with technology including electric lights, electric bells with speaking tubes for communication, and both hot and cold running water. A huge Billiards Room in the basement was fully equipped with lavish amenities designed to appeal to the businessmen who frequented hotels on their travels. One aspect they didn’t have quite right was having only 4 bathrooms for a 500-bed hotel. Completed and launched as the Hotel Victoria in 1887, the elegant building was one of the finest gems in the crown of the Gordon Hotels group, who acquired it after the original developer went bust following some dubious financial dealings. It swiftly established a lucrative reputation as a banqueting facility. 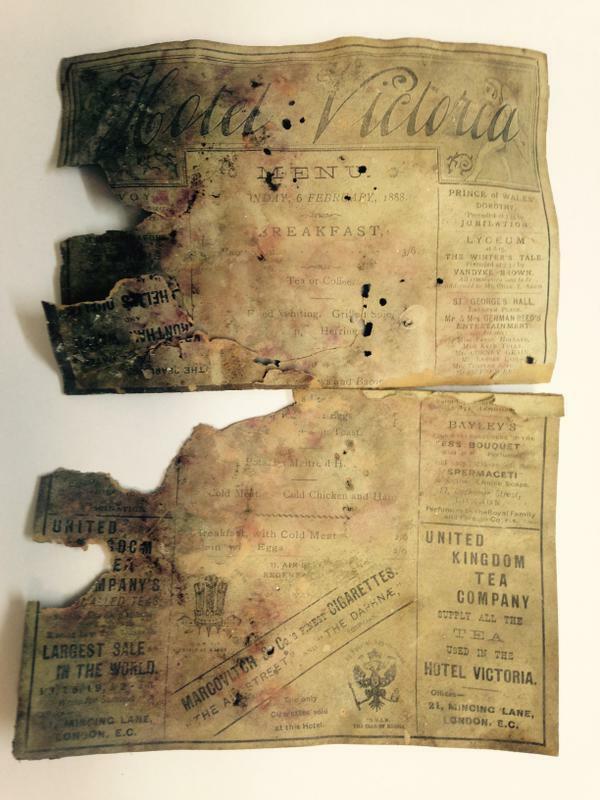 Dinner contracts were drawn up with groups like the Institute of Civil Engineers and the 9th Norfolk Regiment. It was also in demand as a ‘showcase’ space, with prestigious companies like Cadbury’s and the UK Tea Company wanting to display their wares to guests. 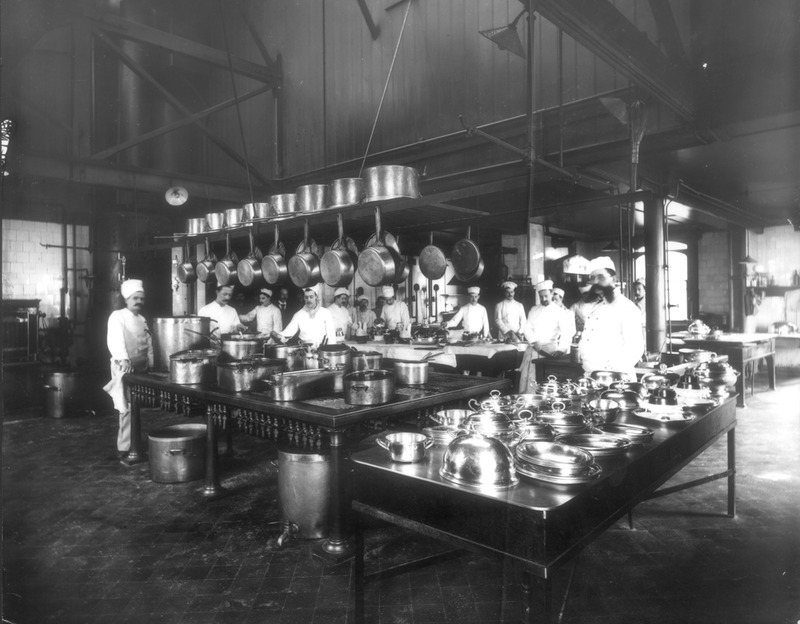 The coffee room (now Boyds restaurant) was created in 1914, after the remodelling of the grand entrance. 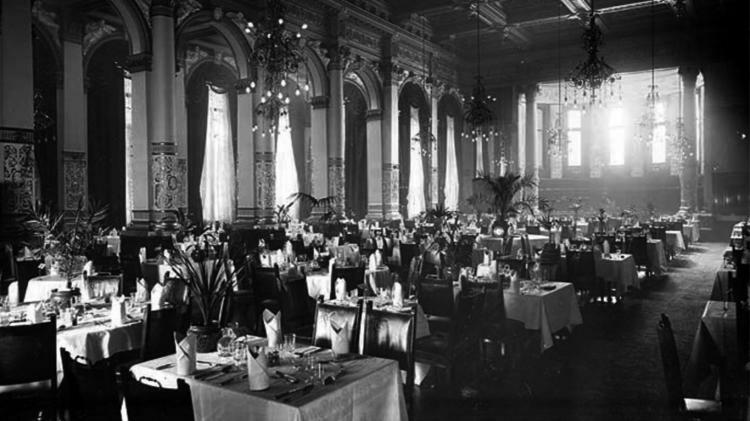 In 1939 the Ministry of War took over the building and later in the Ministry’s tenure, the restaurant area was used as a computer room for war strategic planning. 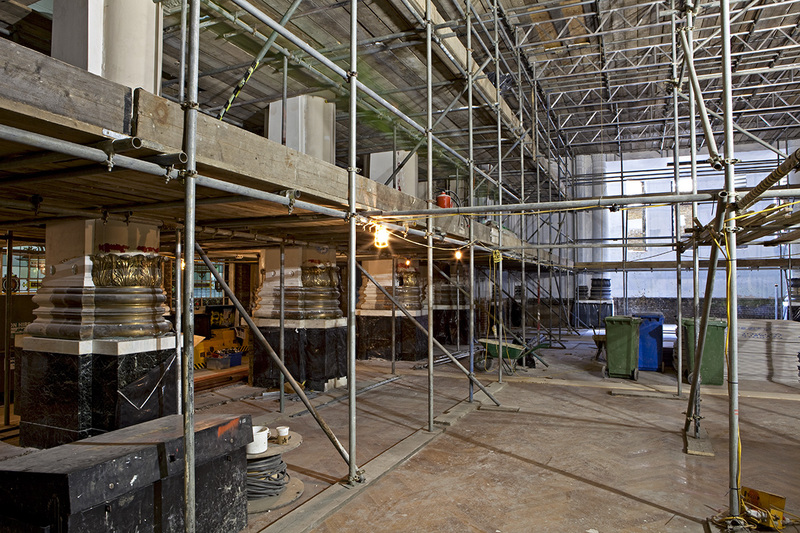 The Ballroom was a lecture theatre and the OBR a store Room. The building resumed its former purpose of hospitality in 2010, after an absence of 70 years. It didn’t take long for the one-time luxury hotel and event space to resume its former glory. In 2009 Charles Boyd and Adrian Brain set up the building as an event venue - 8 Northumberland Avenue. Charles and Adrian had many years of high-level catering experience, serving an exclusive clientele that included, top businesses, governments and the Queen. Both 8 Northumberland Avenue’s event space and Boyds Grill & Wine Bar underwent a transformation from a near derelict state to the restored grand spaces you see today. Boyds quickly become a sophisticated restaurant with its grand chandeliers dating from 1914 and copper-topped bars. The marble walls are 15 different types of Italian marble including large amounts of Onyx dating from 1887, including the ultra-rare Belgian Black. These vintage touches were stylishly offset by Perspex furniture and oversized artwork by Johan Anderson and Donnagh McKenna. All this embodies Charles’ belief that high-quality buildings, art and technology go together beautifully. London’s most central venue uses and maintains its century-plus old tradition for superior events, technology and holding a strategic partnership with AlchemyLive and Blue Hut. Together we turn events and dinners into truly exceptional phenomenon’s for an elite clientele that includes; World AIDS day, Sky, Coca Cola, Bentley cars, United Nations, Facebook and Molton Brown, amongst many others, all in a Grade II listed historic building, in the heart of one of (if not) the world’s greatest city.